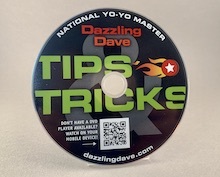 "Dazzling Dave's Tips and Tricks" is a must have for every player. 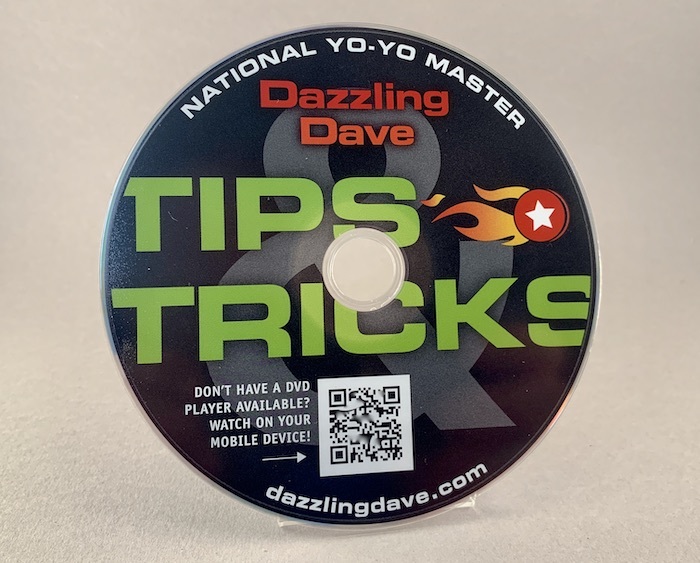 This DVD has something for everyone; basic non-sleeping tricks, intermediate to advanced sleeping tricks, picture tricks and even pro-level tricks. Jam-packed with over 30 minutes of learning and fun. There is also a special tour of Dazzling Dave's yo-yo room. Manta Ray, Brain, and ball-bearing yo-yos are featured in the video, but you can learn using any high quality yo-yo. Everyone can learn from and enjoy this DVD. It is a great tool for young children you do not want exposed to YouTube.